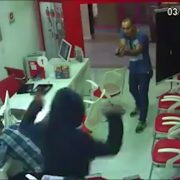 Even as a bystander in an armed robbery you can become a target, so you better have the attitude, skills, and plan to get yourself to safety. This officer did a pretty good job! 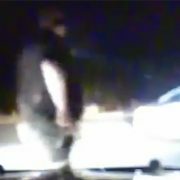 If you value what we do at ASP, would you consider becoming an ASP Patron Member to support the work it takes to make the narrated videos like this officer getting hit stopping an armed robbery? https://get-asp.com/patron gives the details and benefits. Perhaps the biggest benefit of situational awareness is that it buys you time and space to respond to a threat, and time and space buy you options when considering how to protect yourself and your loved ones from a threat. Time and space give you the chance to escape and evade, or time and space to get your force multiplier in the fight, and time and space to better your defensive position and give you a better chance to be victorious. 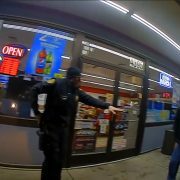 Here the cop didn’t see the armed robbery before it started (not blaming him; that’d be a tough call) and that meant he was definitely at a disadvantage. 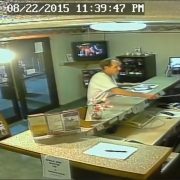 Real life self-defense encounters are chaotic and there is seldom ability to focus solely on one threat. 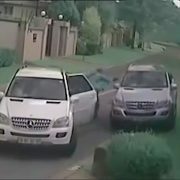 When there are multiple attackers (or potential attackers) present especially, focusing too much on one threat could be a deadly mistake. We must maintain awareness in a fight for our life not only of the immediate threat but threats all around us, and that takes great training not to get tunnel vision. The officer here did a great job of making sure that the multiple threats didn’t get ignored. One of your biggest priorities in a deadly force encounter must be mobility. When you’re stuck somewhere, it makes you much easier to target and take out of the fight! We see this happen when people are at a desk and sitting. If you see a threat approaching, maximize your mobility to maximize your options! A good defensive gun use doesn’t always mean discharging the firearm! Here this off duty cop shows us that stopping armed robbers might mean knowing how to hold them until help arrives. Lots to learn about detention here! 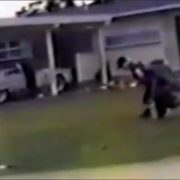 This bystander is Chuck Norris approved! 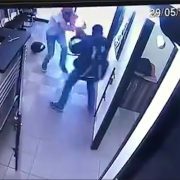 Might not be the smartest approach, but his attitude against this armed robber is certainly commendable, and hey, it worked right? 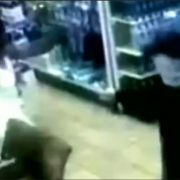 If you value what we do at ASP, would you consider becoming an ASP Patron Member to support the work it takes to make the narrated videos like this bystander using kung fu on an armed robber? https://get-asp.com/patron gives the details and benefits. Every person gets to decide who they are willing to protect. For some, their “flock” is only themselves and their immediate family. That’s an acceptable answer. For others, they are willing to protect their friends, coworkers, and extended family. For a few, it might mean being willing to protect anyone who is weak, powerless, and in need. Each of us must decide the size of our flock and have that decision firmly in mind when it is time to act. 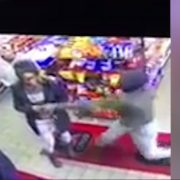 This bystander didn’t have to disarm the armed robber; he could easily have just walked away. The first and most foundational part of Active Self Protection’s defensive strategy of “Attitude, Skills, Plan” is Attitude. You must cultivate the attitude that you are responsible for your own self-protection and you are the primary agent in your own rescue. You and only you can choose to cultivate an attitude that no one has the right to harm you or your loved ones and you have a right and a responsibility to stop anyone who threatens to harm you and yours. The bystander certainly had the right attitude!